In this guide, you will learn how to install BoldGrid from within your Plesk Web Host dashboard. This allows you to install BoldGrid on any sites that are owned by the Administrator account. 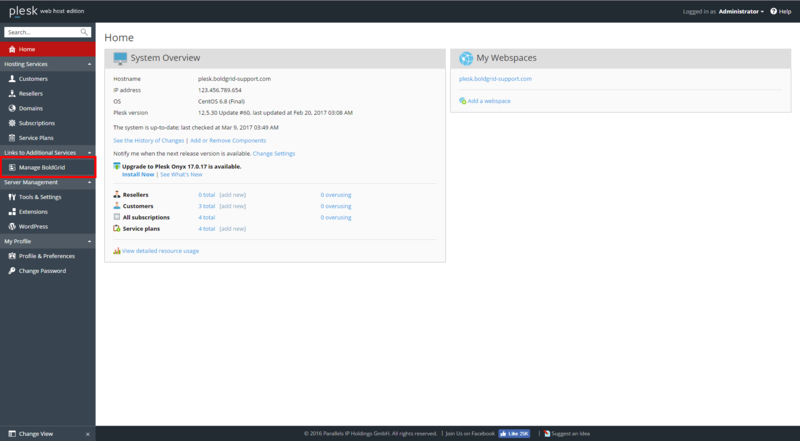 Log into your Plesk Web Host interface. Click on the Manage BoldGrid option from the left-hand menu. 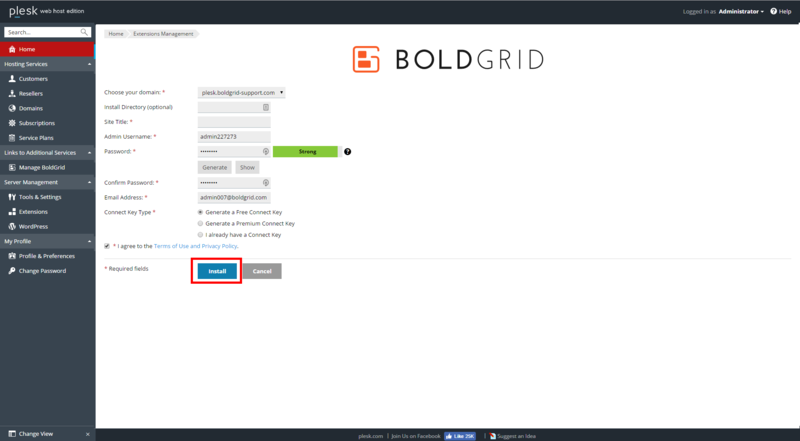 Click on the Install BoldGrid Tab. 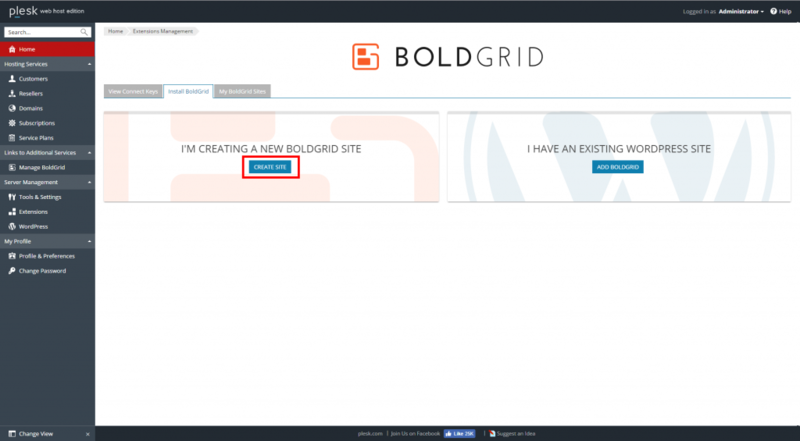 Click on the Create Site button on the “I’m creating a new BoldGrid site” option. 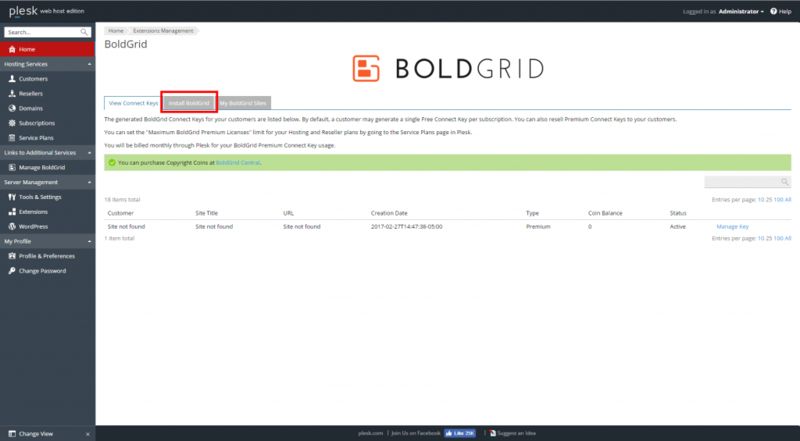 Select the target domain from the dropdown. Remember that only domains owned by the Administrator will appear.